The senior living marketing experts at Stevens & Tate Marketing are continuing their long-standing association with the acclaimed LeadingAge organization, as they head to the LeadingAge Iowa Spring Conference for two featured speaking events. 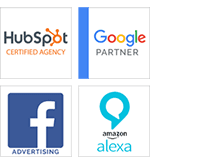 Over the last few years, the digital agency has established notable credibility in the industry and has been asked to share…. (CHICAGO, IL) – Professional StoryBranding Advisor Jim Signorelli has joined the award-winning team at Chicagoland advertising agency, Stevens & Tate Marketing. Jim brings over 30 years of marketing and advertising experience to Stevens & Tate, with a vast background spanning many areas of brand development for such prominent names as Citibank, General Electric, Toshiba, Burger…. LOMBARD, ILL., March 31, 2016 – As long-time educators in senior living/aging care marketing, Stevens & Tate Marketing has once again been selected to present at a LeadingAge association event. President Dan Gartlan will be bringing his renowned Attraction Marketing program to attendees at the LeadingAge Illinois 2016 Annual Meeting & Exposition, being held from…. Lombard, Ill.—Stevens & Tate Marketing has launched the brewery website for Zorn Brew Works, a new microbrewery in Michigan City, Indiana. The brewery website, ZornBrewWorks.com, is the first step in establishing the brand for Zorn, which has a rich heritage in the city’s Elston Grove area. The history of Zorn Brewing dates back to the…. (LOMBARD, IL) – The elves at Stevens & Tate Marketing are being rewarded this year for their good deeds, with a coveted International Davey Award. The Davey Award for creative excellence is for the agency’s innovative “Elf A Selfie” Mobile App developed to spread cheer during the 2014-2015 holiday season. According to the agency, “Elf…. (LOMBARD, IL) – The full-service Chicagoland agency Stevens & Tate Marketing was recently honored with a 2015 Aster Award for excellence in medical marketing. The achievement was earned for integrated work done for Carstens, Inc.—a Chicago-based manufacturer of custom healthcare solutions. The entry was selected for outstanding creativity, design, strategy, and execution of a Total…. Lombard, Ill.—Stevens & Tate Marketing has launched an integrated media campaign for Habitat for Humanity in Chicagoland to promote the organization’s ReStores. ReStores are retail locations that accept gently used items and resell them to the general public and small contractors. Individuals and corporations can donate home furnishings, appliances, cabinets, tools, building materials, and more…..
LOMBARD, ILL., August 25, 2015 – Year after year, the speakers at Stevens & Tate Marketing continue to be asked to share their senior living marketing expertise at events across the country. Continuing the tradition is the agency’s appearance at numerous conferences for LeadingAge organizations nationwide. Early this fall, Stevens & Tate President Dan Gartlan…. LOMBARD, ILL., July 31, 2015 – Stevens & Tate Marketing will be presenting two featured speakers at this year’s FIME International Medical Exposition in Miami, Florida. As the largest and most prominent medical convention in the nation, FIME is the most anticipated event for education, networking, and product showcases in the industry each year. Stevens…. Lombard, Ill.—The Illinois Food Retailers Association (IFRA) kicked off its 90th year of service by unveiling a new tagline and anniversary logo created by Stevens & Tate Marketing. Founded in 1925, IFRA is a non-profit trade association dedicated to the profitability and growth of locally owned and owner-operated retail food stores and the suppliers that….